As some of you know, I am a little bit of a tomboy, even in my 30s. I love to play video games, roleplay with my husband and friends, and even love to watch a good action movie. While I enjoy to do things with the boys, that doesn’t mean I don’t like to feel like a girl too. My husband is occasionally frustrated with all the purses that fill our closet and various perfumed soaps and perfumes. Yet, my pride and joy is the jewelry box he bought me for my birthday years ago. All of my precious jewelry is in that box, some expensive, some everyday but sentimental. While I love jewelry, my only problem with it is that I have a hard time finding what I like, or having the time to truly search for it. Recent, however, I had a chance to review what seemed like the perfect subscription program for me – the Cate & Chloe VIP Box . When my box arrived in the mail, I couldn’t believe there were two beautiful pieces of jewelry inside! 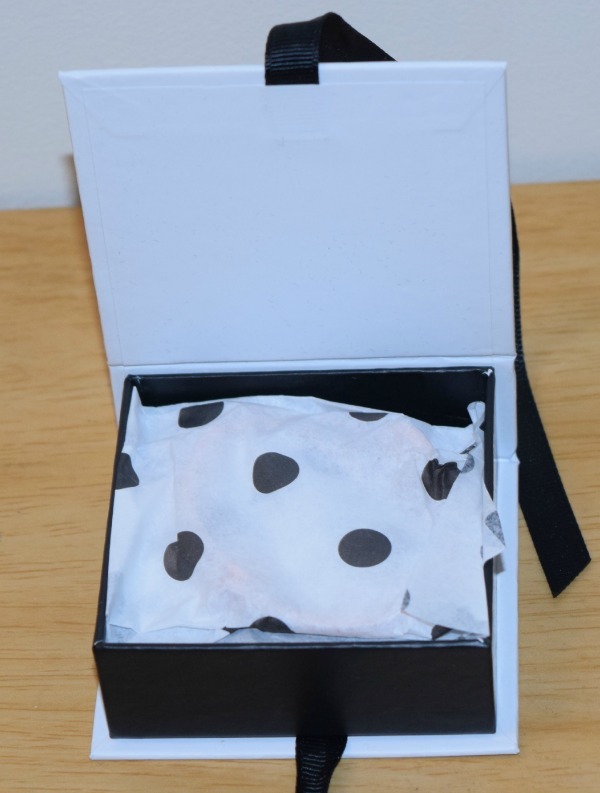 Cate & Chloe VIP Box: What is It? Love jewelry but don’t have the time to shop yourself? If so, we think you will Cate & Chloe’s VIP Box. For those who don’t know the company, they are a high end, chic jewelry company that makes stunning jewelry retailing from $69 – $135 apiece. Everything in their set has a unique design, perfect for any modern lady. Their program is so unique – every month you get two pieces of jewelry, hand picked from their collection for only $39.99 a month. What makes this such an amazing deal is you get over $200 in jewelry each month! Each of these pieces of jewelry are either pre-release to the general public, or already top sellers, allowing you to be a trend setter in your own community or office. Out of the two pieces I received from the Cate & Chloe VIP Box for review, this bracelet has to be my favorite. 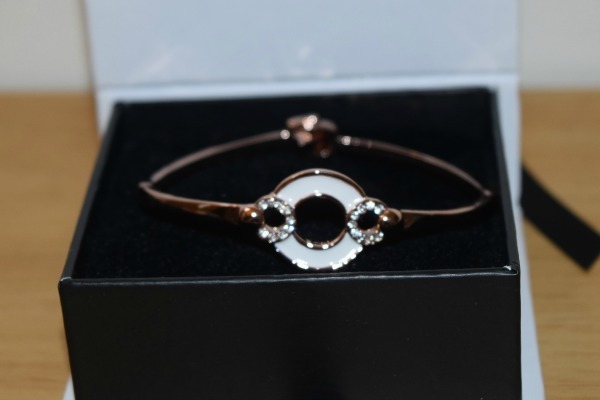 While the earring and necklace set seems to be an exclusive for VIP Box subscribers right now, the Rachel Beautiful Rose Gold Bracelet is currently sold on the Cate & Chloe website. Part of the charm of this bracelet is that it looks both classy and elegant, making it the perfect choice for a day in the office, or a night out on the town. As well, it has a very easy to use clasp, making it easy to put on yourself. Based on my own experience with this piece of jewelry, I am delighted to give it an A rating and am so happy it was included in the VIP Box! Would you like to subscribe to this jewelry subscription box yourself? You can get two pieces of jewelry sent to you each month for only $39.99. As well, Cate & Chloe is also offering an exclusive discount code to our readers, allowing them to get 30% off their month to month subscription option. To take advantage of this offer, make sure to use the following discount code – BUDGETEARTH30. 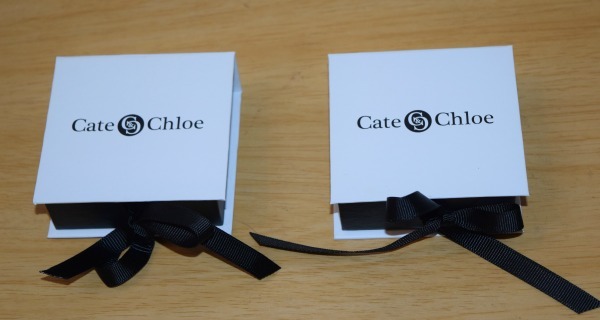 Once you have tried out this jewelry service, you will see why we love the Cate & Chloe VIP Box! I like the concept except I am so fussy with my jewelry! I really love this bracelet though – design and color! What a great subscription box. Thank you for your review. Oh my, I love this bracelet set. I”m a fan of Cate and Chloe, and this one just looks amazing!. Oh, what a pretty bracelet! Thank you for sharing. $40 is not a bad price but I find that getting $200 for $40 just doesn’t add up to me. How do they even make money? It is a nice bracelet although not my style. Maybe add a few funky bangles with it. I recently saw a piece of Cate and Chloe jewelry and it was lovely. It was very sparkly and the box it came it was too cute! Thank you for your review.I love the set ! Such a pretty bracelet! It seems like a pretty good deal, if you have the extra money to treat yourself. I’m not much of a bracelet wearer. I prefer the other set that you reviewed. The necklace. That bracelet is so prettY! Love the bracelet I also like the concept of the monthly box. But what if you get something you do not like. Can you return it for something else? I do not normally wear much jewelry. However, it is because I cannot find a lot of it I like. What I see here is very nice. I would buy and wear it. If you can afford to splurge a bit, I think this is great. I love getting surprises in the mail. Cute bracelent too! I just checked out the jewelry and all of it is awesome. It would be very hard to pick just one piece. The jewelry boxes are so cute too! I love this idea. I looked at their website, they have some nice pieces. The bracelet you showcased is lovely. Very pretty bracelet. Wud go w just bout n e outfit. Thanks for the review. Darling bracelets indeed. I wish I had more jewelry but had to sell mine to pay bills. This would be a nice treat for myself since most of my luxury items are now gone. I like the box as much as the bracelet. It would make a great gift. Thanks for sharing! My favorite piece of jewelry would have to be my sapphire and diamond earrings. My husband bought them as a gift when the twins were born. I think the piece that you reviewed is nice looking. I have wondered about the programs where you have a subscription to receive a box each month. I’m very picky. I have sensitive skin so I have to wear gold earrings so this program would probably not work for me. I can see where this would be appealing for a lot of people. Before reading your review I was not even aware of this company. What an interesting concept and the jewelry looks lovely. Thank you for introducing the company. The bracelet is elegant in a very simple way. Lovely! I think this is a great concept! I love the bracelet and would love to win! I love the idea of getting new jewelry each month! The bracelet above is so beautiful and is perfect for dressing up or down! Love the concept, love the jewelery on the website and would use what every they would send. TFS. I love the idea of a subscription box for jewelry, it seems there is at least one of them for everything else! I am like you I don’t wear a lot of jewelry but I do love necklaces 🙂 I absolutely adore their Felicity Luck Necklace! I think this is a neat idea to try out different kinds of jewelry and get a nice little surprise in the mail each month! And who doesn’t love getting mail? I’ve been seeing a lot about Cate & Chloe and wondered what it was all about. Now I know- they have some really beautiful pieces. Excellent idea for a subscription box! Thank you for your review, it was very informative. I have shared your blog and contest with friends/followers. I love the idea of paying a set amount each month and getting to keep the jewelry that comes no matter the price difference. That bracelet is so pretty. The bracelet is beautiful. I love the design . And Cate & Chloe make wonderful pieces. I’m a bit of a tomboy too. lol At the same time, it’s super fun to be girly too. The bracelet you received is gorgeous! Thank-you for the information & review! Their jewelry is very lovely. I especially love the first bracelet. I absolutely love that bracelet! You’re right, it would work just as well in the office or during the day as it would dressed up. I’m always a bit leery of subscription boxes because what if I don’t like it? This one I think would make for great gifts even if it’s not your exact style. Interesting idea for a subscription. This bracelet looks really pretty. I think my fiance would like it for a surprise present. This is a great subscription box for anyone who is a jewelry lover, $200 worth of jewelry for $39.99 a month is a great deal. Thank you for sharing this review. very nice this bracialet 🙂 i love this! this is very pretty. my daughter would love it. I love the concept of the surprise you would get every month with the selection of the jewelry by someone else for you! I am somewhat particular about my jewelry – the bracelet that you have shown is most definitely my style though. However, I have 4 nieces all with wildly different tastes. I’m willing to bet no matter what showed up, if I didn’t care for it for myself, I would have a gift for one of them. Since I don’t particularly enjoy shopping, that would be great! I’ve heard of this subscription before but never seen a review. Thanks for the review. I really love fine jewelry. I love the bracelet shown and I would love to win a free box this month. I would also love to review some of your products if you are interested. At $480 a year, that is a little pricey for jewelry I may not like. They do have nice pieces, though. I find this bracelet is very beautiful but $480 a year there may be pieces I do not care for so I would fine it a bit expensive.Thanks for the review. I love the bracelet. I know I couldn’t afford $480 a year, but the items are beautiful. Thanks for sharing your Cate & Chloe review. The bracelet is very pretty. Wish I had the money to treat myself to jewelry every month, but it’s not in the budget right now. I like the bracelet and the packaging. It is good to know that I can get thirty percent off even if I do not win. Thanks for sharing. Bracelets are always fun. They wrapped it nice too. Very nice bracelet. The monthly box concept would be a great gift idea for my wife and granddaughters. Lately I have noticed so many different types of subscription box services…anything from chocolates, organic snacks, makeup to toys & treats by for your pet. This is one by Cate & Chloe for jewelry they design is a clever idea for all us ladie’s who simply don’t have time to shop for their own. I’ve gotten into the habit of just hinting to family members what I’d like as far as gifts like jewelry go & now I almost can’t, won’t or feel like it’s taboo or something for me to buy myself any jewelry. This would take all the guilt & shame out of it & I get a surprise gift to open once a month to boot!! LOL! A true win-win for moi!! i love that bracelet! so pretty ! :) i love the whole subscription idea. This is so pretty. What fun it would be to get a subscription for jewelry. This is a fantastic looking bracelet. Would make a lovely gift!